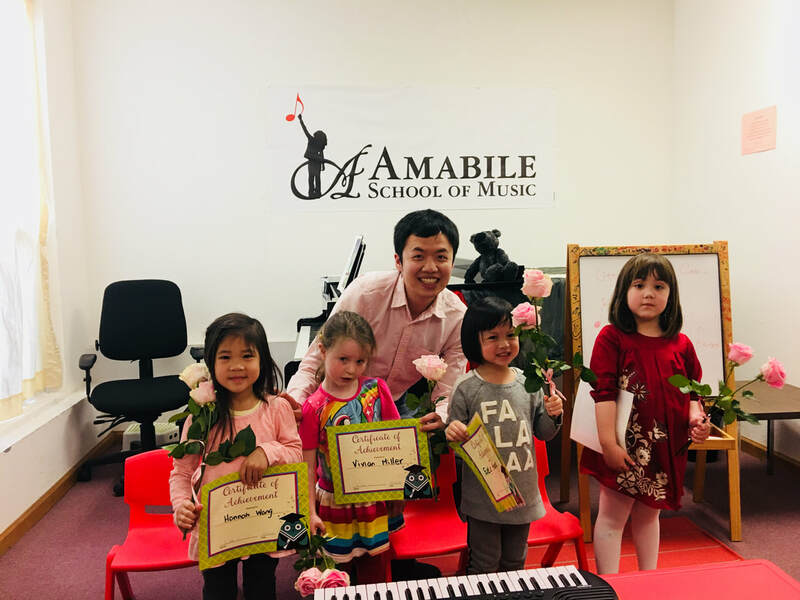 The course is designed for beginner students age between 4 and 5, to learn about musical alphabets, rhythm, notes, black & white keys, posture and finger numbers. 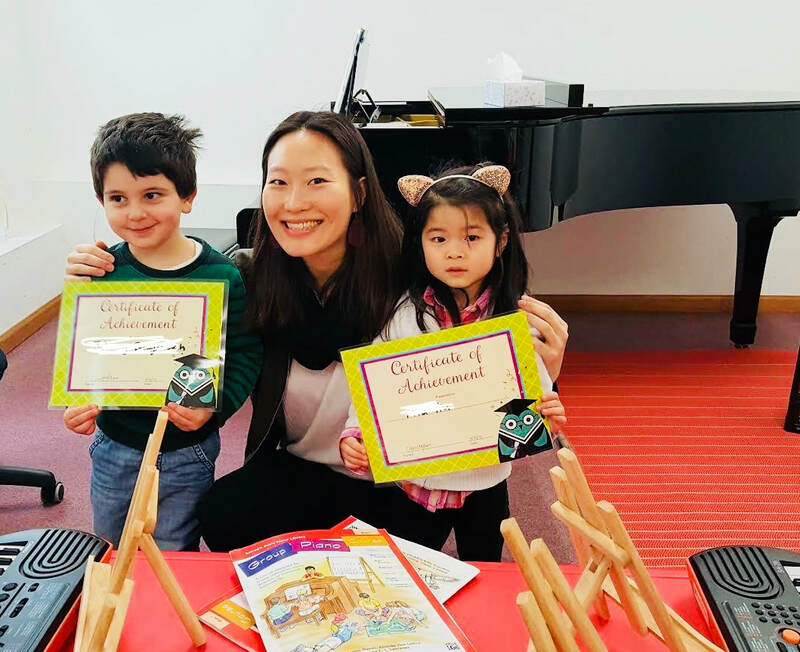 The class also incorporates fun aspects such as singing, dancing, musical games, and mini-recitals! It is a 16-week introductory course that runs all year round. The course focuses on basic keyboard skills and musical concepts. Regular class is 40 minutes long and meet once a week at the same time. Upon graduating this course, students are encouraged to proceed to Level C (which may be offered upon request) or private lessons on an instrument of their choice with one of our faculty members. You will have a chance to discuss this with the class instructor near the end of the course. Max Class Size: 6 students. Small keyboards are provided during each class. Parent participation is required at the last 10 minutes of each class where teachers will review class concepts, homework, and tips to help your child practice at home. We recommend families to have daily access to a piano or a keyboard on a stand with full-sized weighted keys. Trial classes are complimentary. 30min per class. Must be at least 4 years old to participate. Prior reservation is required. Please call us at (415) 682-7738 or click the bottom below to reserve your seat. No drop-ins. Instructors: Ms. Michelle, Ms. Christy & Dr. Ethan. Tuition payment is due one week prior to the first class. You may call us at (415) 682-7738 or use the payment button below to register. No drop-ins. If a minimum enrollment is not reached, we will contact you to postpone the start-date.